Note: This is a series that covers my favorite SEO tools. I’ve included the key features for each, how I use them and pricing information where available. 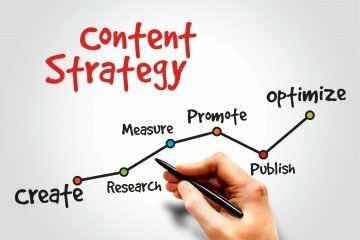 If you want to learn more about my favorite SEO tools, I've also written about content strategy. Why do a technical audit? Whenever I take on a new client, one of the first things I do is a technical audit. SEO is an interesting combination of technology and psychology. If you want to learn more about the emotional aspect, I've recently written about The Psychology of SEO. Today I am going to focus on the technical side, specifically what tools I use to analyze how a site is structured. Evaluating a site on a technical level is important because it forms the foundation of everything else you do. When the technical factors of a site are optimized, you will get the most direct, efficient communication with search engines. Whether you are an SEO professional yourself, or a business owner, this article will help you understand what tools are available and how they can help you fix and upgrade the technical SEO aspects of your site. Many people don't understand the SEO implications of having duplicate content. If you have the same or similar content on multiple pages, the search engines interpret that negatively. It can look like you are trying to manipulate the system and make it seem like you have more content than you actually have. It's confusing to Google because they don't know which pages you still want it to index. A technical audit helps you determine whether you have duplicate content, and address the other top issues I see: broken links and and meta tag issues. Addressing broken links is important because they are bad for user experience, causing potential customers to navigate away from your site too quickly. Title & Descriptions tags should be concise summaries of pages within your site – if they are empty or incorrect it can negatively impact your ranking and conversions. The standard tool I use for everyone is Ahrefs Site Audit, a Cloud-based tool. I like this tool because finds technical and on-page issues, can be scheduled and you can use it to scan a competitor’s site. To use Ahrefs Site Audit, I input the website url and let the tool crawl the entire website, up to 2.5 million pages. Then it will scan each page thoroughly and check more than 100 different SEO aspects on each page. Based on these scans I will produce a custom SEO action plan. The action plan has two parts: a summary of what's wrong and what needs to be fixed with priorities and relevance laid out clearly for developers; and a list of the sites existing URLs with notes and specifications on what needs to be fixed. One of the reasons I love using Ahrefs Site Audit is that because it's a Cloud-based tool, I can schedule it to run on a daily basis. It’s a good way to see if we're making any progress, whether things are getting fixed and what the impact has been. Ahrefs also stores this information for up to six months, making it easy to identify fixes, errors and their long-term impact. I also use Ahrefs to input a competitor's URL and run a comparison. This will help you understand why a competitor are doing well or otherwise. Screaming Frog is a very similar tool to Ahrefs Technical Audit, and it has many of the same elements. The biggest difference between the two is that Screaming Frog is a desktop application. This is fine for smaller websites, but is problematic for larger sites which can easily have 10,000 to 30,000 pages (unless you're ok with leaving your computer running all night or even days on end). Overall, Screaming Frog is a really good and cheap tool, especially if you're just starting out. (At $150 per year, it’s considerably less than Ahrefs which is $99 per month.) If you have a small company, a start up, or if you want to do SEO on your own this may be the tool for you. Oh, and there are ways to run Screaming Frog on the Cloud, but it's very complicated to set up. But if you are tight on budget and have the technical skill, you can set it up yourself. Screaming Frog can help identify all the three key issues I mentioned above. You can use it to gauge if title tags or meta tags are missing, have duplicates, are too short or if you need to optimize them. And it can also help identify duplicate content and broken links, so you are in good hands with this tool for not a lot of money. The best source? Google PageSpeed Insights! Page speed – how fast the webpage loads – is an important factor in SEO. If users have to wait too long for your page to load they will just leave. Most users will get frustrated and leave a site if it doesn’t load within three seconds. (That’s on a desktop – with mobile it’s even less time). Search engines see this as evidence that your site is less relevant to users and will ding your search rankings. A tool like Google PageSpeed Insights will help you identify what is slowing the page so you can fix it. Keep in mind that a lot of people are browsing more on their mobile devices. This means they are on the go and even less likely to wait for a page to load. A mobile site should be able to load in three seconds or less. Google PageSpeed Insights is the best at what it does. PageSpeed Insights also provides a really detailed explanation of why this is a problem and why it should be fixed. You can give that report to a developer which provides them with a high-level understanding of what needs to be fixed, as well as links within the report to more technical details. This tool is more sensitive than Google PageSpeed Insights, and will provide a lot more detail about what's impacting your page speed. In fact, it can be a little scary if you are just starting out with SEO. It’s probably a good idea to start with Google PageSpeed Insights. After you’ve run PageSpeed Insights once or twice and had a developer address those issues, you can move onto GT Metrix. One disadvantage of both GT Metrix and PageSpeed Insights is that you can only run your page speed check page by page. If you have a lot of unique pages, read on for details about URL Profiler. If you have a larger website , it's tedious to manually check for page speed manually. So this why I always use URL Profiler can do a bulk page speed check, and run a report for up to 10,000 pages at once. URL Profiler can also review a high volume of links and social data. There are other useful features of URL Profiler such as content analysis but for me it's not needed for my particular use case. So there you have it. These are my favorite tools for performing a technical audit as a first step in creating an SEO action plan. I focus on the technical aspect of SEO is because it can really help give you an edge over a competitor’s site. A competitor might have very good content, but most of the time their site are not technically sound. Usually my clients want to overtake the competitor in rankings. To do that you need good content and a well-structured website. This strategy gives my clients a good chance to rank very well in search, and take a bigger bite of the market. Want to talk to me about making technical enhancements to your website, or SEO in general? Send me a message.